What the XFL can learn from the AAF? Ok, I think this is something we should all discuss here being with the news breaking that the AAF after one year is in danger in folding. The possibility that it could end up being a one and done deal. Even though a few weeks ago it was said other wise and now today we are getting a different message from one of the main backers of the league. Now I have seen a lot of screen shots showing Stadiums empty and seeing a decline kind like we saw in the 01 XFL one and only season and only a couple teams stand out with being solid. So with this infomation and 11 months are so before the XFL returns. What lessons can they take to make sure the XFL stays, while we know they have commitments with the cities chosen which I'm sure AAF had the same deals. Now what can the XFL do to make sure they do live up to the promised quality football? What lessons can they take from the AAF? Is there a noticeable mistake they made they turned the interest away so badly. The fear is becoming the wonder if Spring football leagues are starting to become like the many different arena football leagues they come and go what seems all the time. Now me, I know I don't have all the right answers and that why and hope we can add some action on the slower times for the XFL on the boards. Me, is being sure that there rules that they want to use are good ones and it makes plenty of sense. We all get the idea of faster passed games and making sure we get fast passed but quality has to be the focus. I think the AAF was to much like the first XFL run, where it was rushed and not fully planed out as much as they wanted us to believe. The XFL while took an extra year from the original announcement. However the one thing the XFL needs to rush a little one now is getting the rest of the coaches announced. The smart way would be around let summer or around NFL week one, they need to have teams together and practicing. So at less by the time the XFL seasons starts the teams at less look like they have some kind of chemistry as a team because this what really make good football happen. Coaching and players being familiar with each other. Now if the AAF doesn't return, this will help in a sense of players. The best players the AAF had could end up in the XFL but I think where the AAF went wrong is not going into the college undrafted pool deep enough. 81% was former NFL players. That's a high number and a leaves a small % saying they went else where for talent. The XFL should look more into that pool to gain more long term players I feel. Getting a good TV deal would help. AAF has an iffy deal. CBS sports shows what one game a week. The rest is NFL network shows a couple. and not sure where else. Now talent is everything and getting the right pieces is what will help, however the question is, how do they plan on packing out these monster venues they agree on with the cities they play in? As a football fan, what will get you into that stadium? - Play in right-sized stadiums. - Have teams train in their home markets. Most importantly, tell your story. The end game for the AAF was an NFL roster. The end game for the XFL needs to be the XFL Championship. Great post. The AAF folding, scares me about the XFL’s chances in the long run. 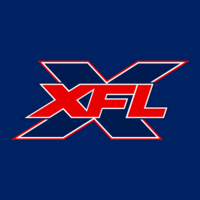 The #1 thing is that the XFL has to have that USFL vibe and connect to fans and the markets they are in. It has to feel like a pro league that’s innovative and part of the evolution of football. Another thing he can help do is do what the other two pro teams in St. Louis has done. The Blues of the NHL and The Cardinals in MLB. That cross over promoting each other. Bruce could easily get the XFL that kind of local endorsement and make the XFL more welcomed by the sports world. Now I know I am speaking on one team but the same could be done in all the cities. "Tell your story"..... Well stated.... That's a huge key. Being NFL Light is not a draw. I have said that Isaac Bruce as Head Coach was too much of a gimmick, but I have said that President of XFL St. Louis is the right fit for him. Was thinking the same thing. Well said Tank55, I should put that quote into my signature. Wait till March to start the season-Fans do love football but also want a break after the Super Bowl, I get the idea of starting in February (dead sports month, people in the habit of watching football, etc...) but I think it is the wrong strategy. Give people a little time to miss football and start your season when NFL free agency and draft talk really heats up, this is when fans want football back in their life. The weather would also be better which I do not think should be ignored. Added benefit is it would give you time to go after college guys in January and still have them ready for the start of the season, starting in February makes this impossible. Totally agree on TV schedule; I wish I had included that. Build on existing habits of football fans; make it as easy for them as possible. These are very good ones. If at all possible build as much of a relationship with local markets you can. I've brought this up before, using St. Louis as a good example as that's where I live. One of the things that became very popular and really started when the Rams moved to LA in the way they did. The NHL and MLB teams started to really connect in supporting each other The Blues and Cardinals. Just Monday the Blues had there one nation night. The Blues wore Blues themed warmup Jerseys and other stuff crossing over. The last home game really closest to game one of the season. The Cardinals will do it late in there season for the Blues closet to when the Blues kick off. Now the XFL will be in the middle of it. The Blues could get opening night event in Feb as it stands. The Cardinals could do an event at the back in of the XFL season when they start up. The XFL could do one in the middle around now were the Blues finish the season and making a playoff push which happens more times than not and the Cardinals would be starting off. If all 3 would welcome each other and support, the fans will follow as we seen it already here. Other markets can do the same. With where the other teams are, plenty of cross overs could happen. Make the XFL feel welcome by the other teams and the XFL return it with a "thank you" themed game. Now is that to "gimmicky" not really when the idea is to bring the local sports fans together. The XFL already took one step in a positive light in St. Louis when the people found out the XFL is paying way more than the NFL team did to be in the dome.